One of our clients recently called me and asked if we offered drone surveillance. I laughed at first thinking the client was joking, but she was dead serious. She told me that a few surveillance vendors had recently sent her marketing emails touting their drone surveillance cameras. She thought it sounded really cool and was interested in trying one. I explained to her that a drone is an unmanned aerial vehicle (UAV) typically used by military or law enforcement agencies. Most drones have cameras affixed to them to document the areas over which they’re flying. The military drones are very sophisticated and extremely expensive. There are also drones for recreational users. These are made of plastic, utilize a handheld remote control, and can be bought at Toys R Us or hobby stores–something fun for a child’s birthday present perhaps, but not designed for surveillance purposes. I was attending a conference last year where a private investigative company had one of these cheap, plastic drones equipped with a pinhole camera. A young man was demonstrating this drone to a crowd of enthusiastic onlookers when, about 2 minutes into flight, the drone careened into another vendor’s booth and plunged to the ground. Everyone got a good laugh with the exception of the investigative vendor. At the time, I thought this was merely a marketing gimmick gone awry. Surely the investigative industry would not be delving into drone surveillance anytime soon. Apparently I was wrong. And so are those using these drones. In application, utilizing “real” drones for non-military or law enforcement purposes is seriously flawed for many reasons. First, as demonstrated by the surveillance company at the aforementioned conference, recreational style drones are cheap and unreliable. 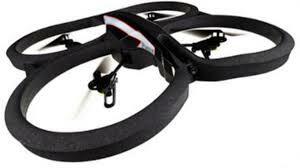 Imagine a drone crash-landing onto a claimant’s front yard as he mows his lawn. Or even worse, what if it crashes into the claimant? How quickly can you say, “Invasion of privacy lawsuit?” More on that in a bit. Second, let’s assume there is a reliable drone that never crashes. In order to be effective and obtain recognizable and useful video, the drone would have to fly relatively low, thereby thwarting any attempt at remaining covert. Seriously, picture walking out your door and seeing a weird plastic flying object hovering 30 feet above your head. Time to reach for your BB gun and shoot that sucker down. Last, and most important, the adverse legal ramifications of using any type of flying surveillance drones are vast. For example, an individual has a reasonable expectation of privacy if they are on their own property surrounded by an 8-foot wooden privacy fence. Even if the claimant is allegedly bedridden but training for “American Ninja Warrior” in his backyard, the fact that he is enclosed by a wooden privacy fence provides him with a reasonable expectation of privacy. In this situation, an investigator cannot climb a tree and film into the backyard. Such a maneuver is considered an invasion of privacy. For the same reason, an investigator can’t fire up a drone, send it skyward, and start documenting the claimant’s Ninja routine. Again, this would be considered invasion of privacy and most likely result in a very expensive lawsuit against the investigative company and the insurance company. I don’t mean to drone on here (sorry, I couldn’t resist), but what were these firms thinking when touting their drone cameras? Inquiring minds wanted to know, and so did I. Therefore, I conducted some due diligence. I learned that some investigative companies are calling unmanned remote cameras “drones” even though they don’t fly. I suppose the word drone adds a little marketing sizzle, although it borders on false advertising in my book. Unmanned cameras that run continuous video are, of course, perfectly legal in most instances and most investigative companies have them. Ethos offers a 24/7 camera that runs continuous video 24 hours a day to determine and document a subject’s pattern of activity. The key with these cameras is to ensure they are mounted discreetly either in a vehicle or somewhere outdoors that is not on private property. This camera is an excellent tool in an investigator’s arsenal; however, it should be noted that they are not conducive in every situation. Some areas may be too rural. Other areas may not offer a viable position for the camera to be set up without violating trespassing laws. With that in mind, be wary if you’re working with investigative companies that tell you these unmanned cameras are ideal for all of your cases. In conclusion, conducting investigations is a fundamental part of the fraud fighting process. It’s imperative that all parties involved understand the legal issues involved to avoid any unnecessary and expensive litigation. Also, consumers of investigative services need to separate marketing fluff from the truth. Moreover, there is not one cookie cutter formula for conducting investigations. Each case is different and requires an individual game plan to maximize results. That’s all for now. Something is hovering outside my window and I need to grab my BB gun.